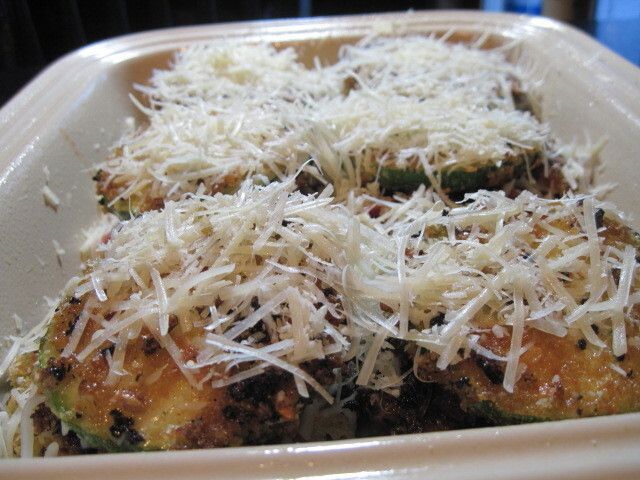 Having had an abundance of zucchini from our garden this summer, I started dreaming up different ways to use them. I came up with this recipe one evening and it immediately became a favorite. 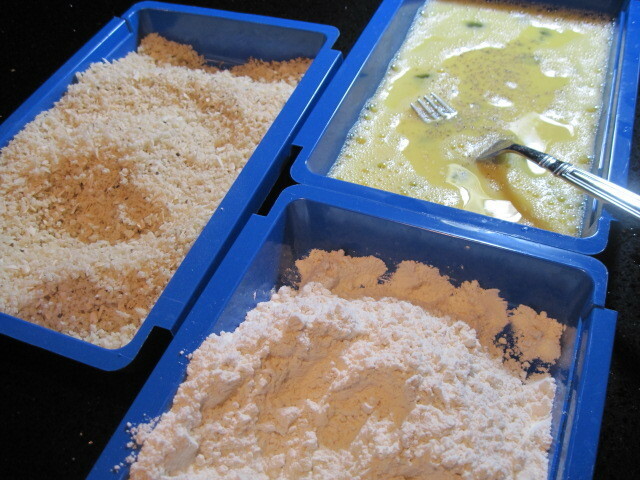 -Set up your breading station using 3 separate, low sided dishes. 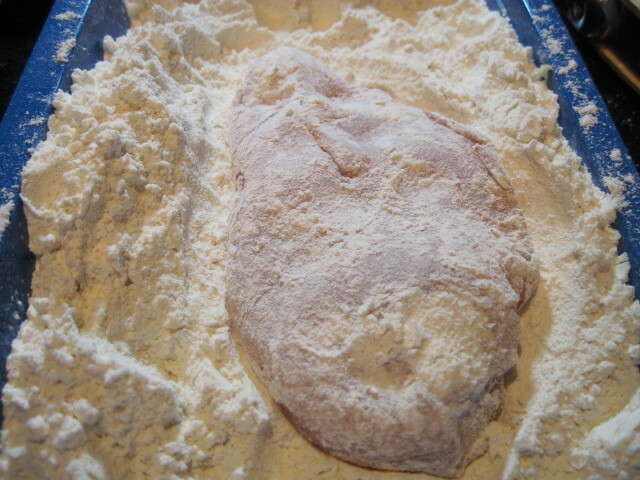 -In the first one, add the flour and garlic powder. Stir to combine. 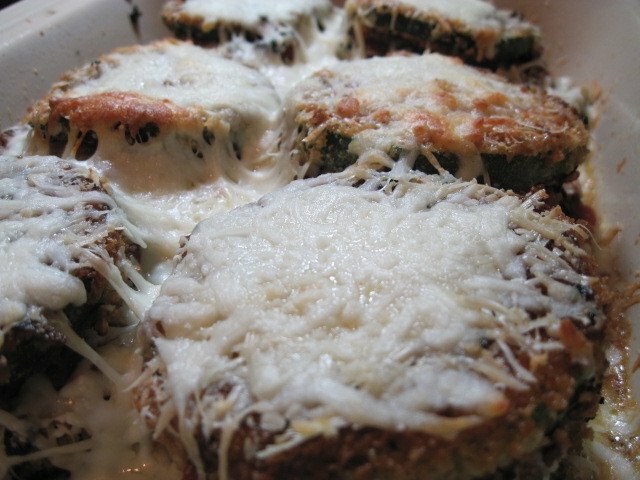 -In the third one, add your panko crumbs and 1/2 cup of the Parmesan cheese, basil, oregano and minced onion. 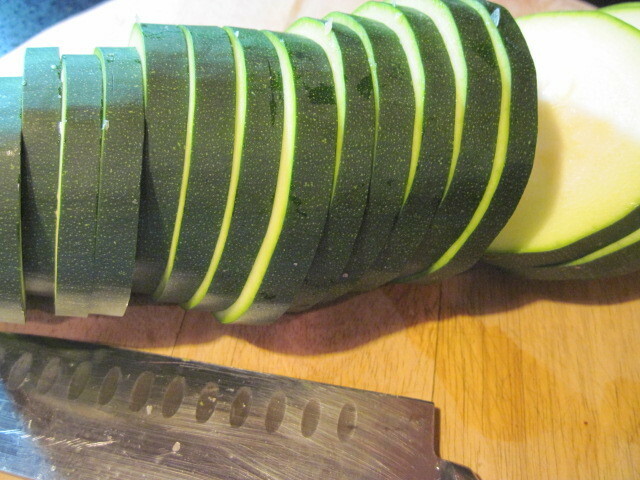 -Slice your zucchini in approximately 1/4″ slices. 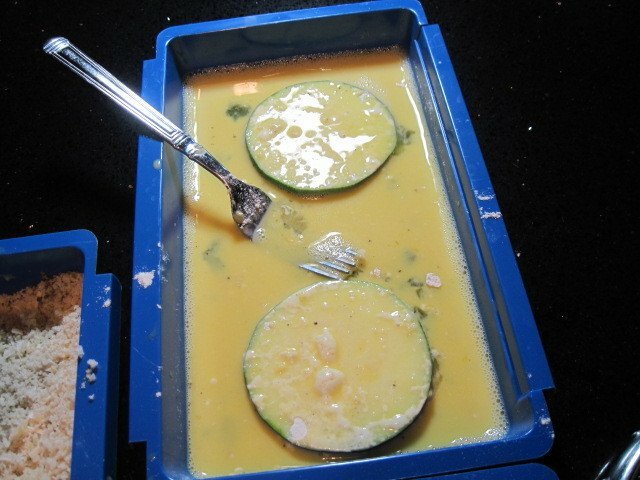 -Transfer your floured discs to the egg mixture and coat with egg on both sides. -Lastly, add your floured and egged (is this a word?) rounds to the panko crumbs and gently press the crumbs onto both sides of the zucchini. 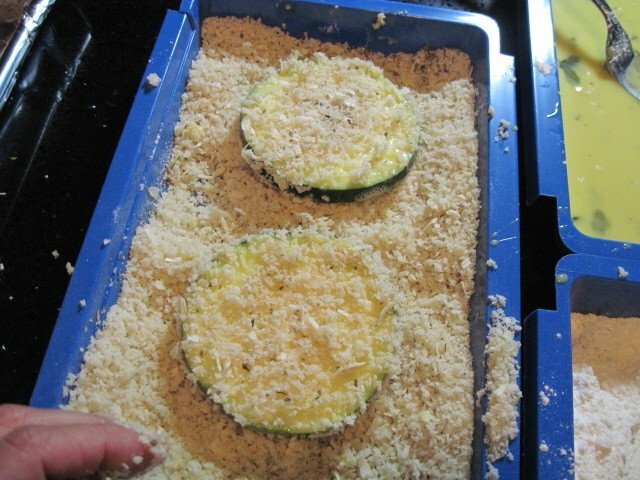 -Transfer your completed discs to a baking sheet and follow the previous steps with the additional zucchini discs. Set aside. 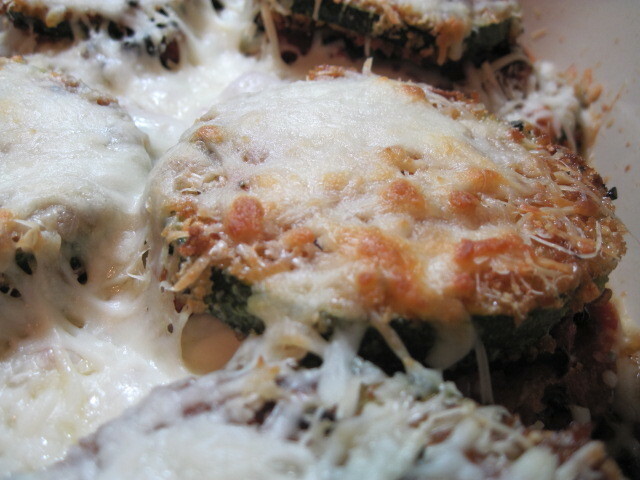 *Note – If you can’t tell, I made an abundance of zucchini discs. Many more that what I needed for this particular recipe. They’re wonderful on their own too!!! 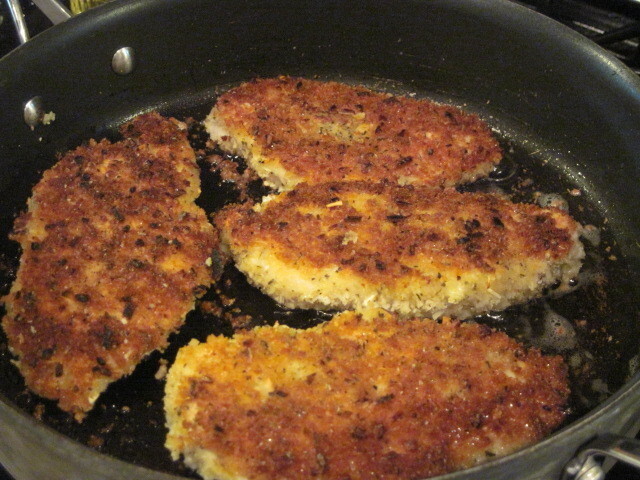 -Add approximately 2-3 tablespoons of the oil in the bottom of your skillet and heat to medium/high. -When the oil is shimmering, gently add your chicken breasts to the oil and fry on each side until they are golden brown. *Note – You are not cooking the chicken through here, you’re just getting crunch and color. 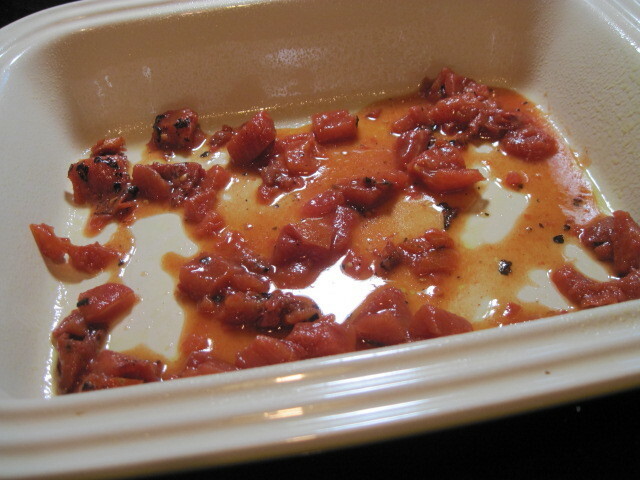 – Meanwhile, prepare a baking dish by adding some cooking spray and a small amount of crushed tomatoes in the bottom of the dish. 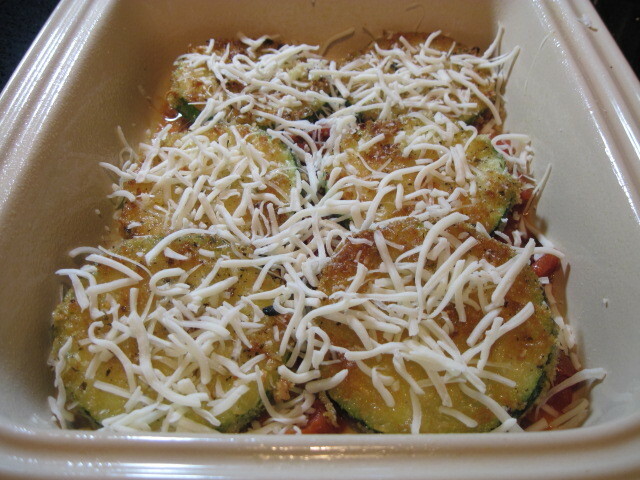 -Transfer your browned chicken to the baking dish and set aside while you prepare your zucchini. 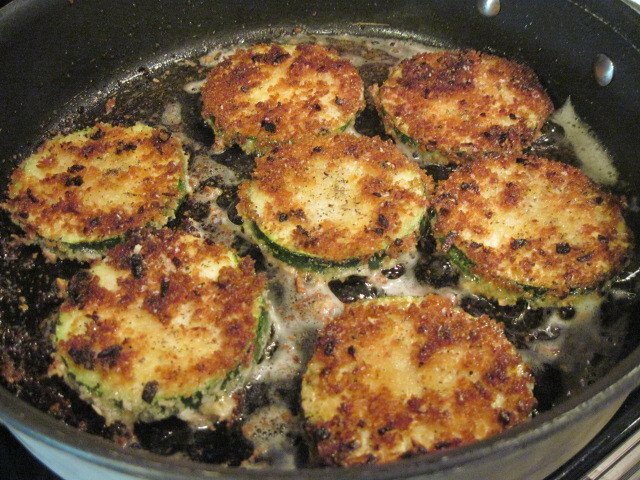 -Gently place your zucchini slices in the oil (adding more if needed) and follow the same procedure you did with the chicken being sure to watch them carefully so they don’t burn. 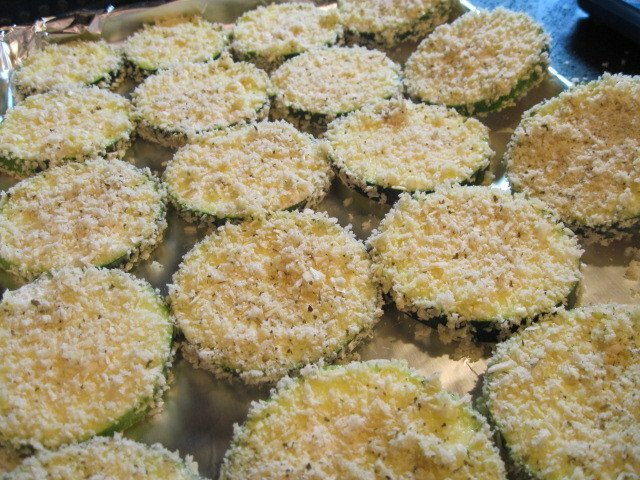 -When your zucchini slices are golden brown, remove them from the oil and place on paper towels to drain. 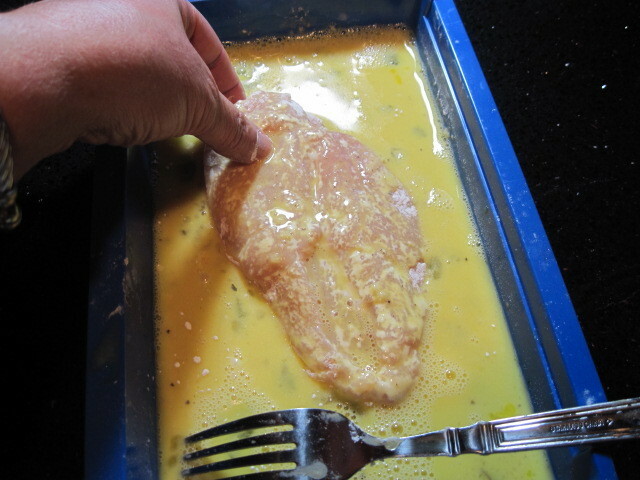 -Preheat your oven to 350 degrees and start assembling your chicken. 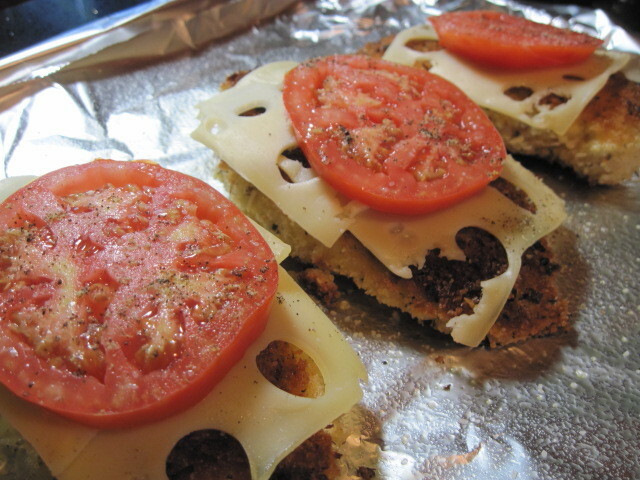 -Place 2 slices of cheese on top of each chicken breast and top with 1 tomato slice. 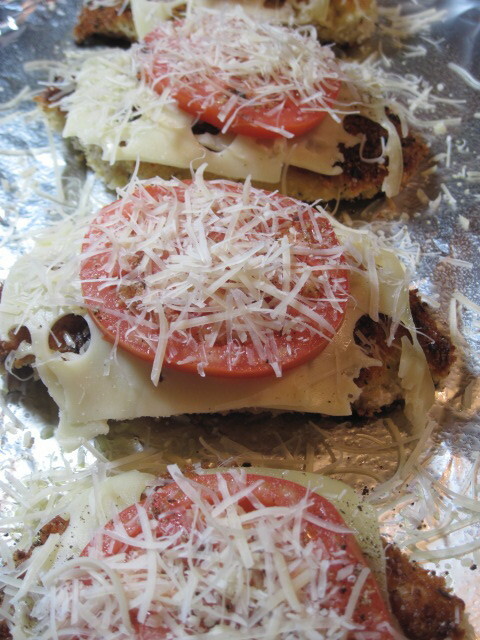 -Salt and pepper your tomato slices and top each with a sprinkling of Parmesan cheese. 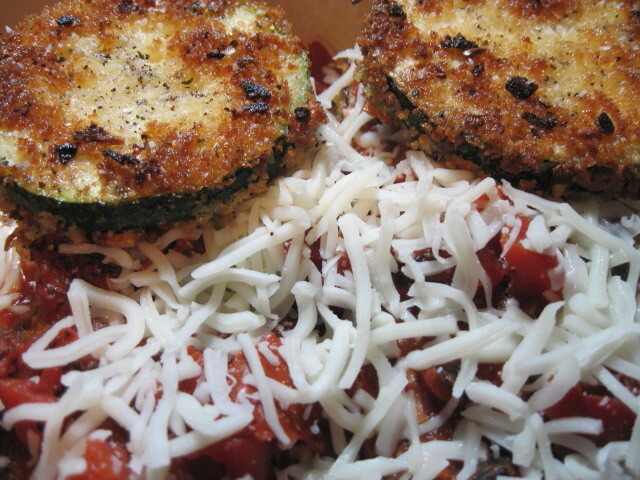 -Top each tomato slice with 1 or 2 fried zucchini discs and then top with additional Parmesan and mozzarella cheese. 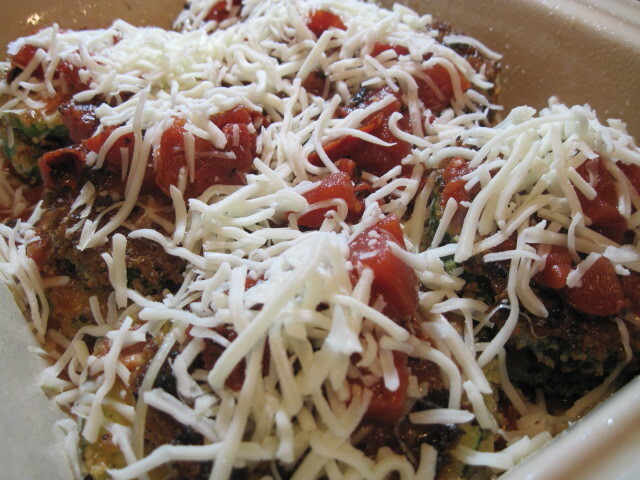 -Add the remainder of the canned tomatoes evenly over the breasts, and top each with the remaining mozzarella cheese. 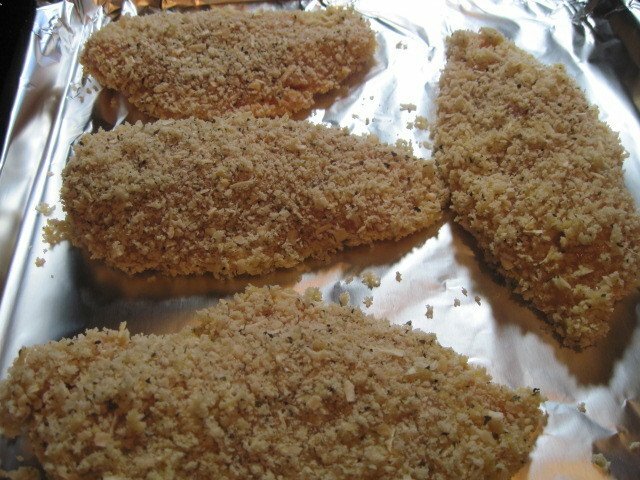 -Bake in your preheated oven for 25-30 minutes until the chicken is cooked through and the cheese is nicely browned and bubbly. Sadly, I don’t have any final “beauty shots” of this completed dish. The only reason I can think why I don’t (I made this a month or more ago), is that we I was too anxious to sit down at the table and dig in! Anyway, you get the idea! I’m certainly not a professional blogger, recipe writer or chef. I blog for the enjoyment and fun of it and that maybe someday my kids will have mom’s virtual cookbook to refer to. HA! A girl can dream, right? I can imagine how good this smelled while frying and baking. No wonder you couldn't wait to sit down and eat it. This is a great recipe!